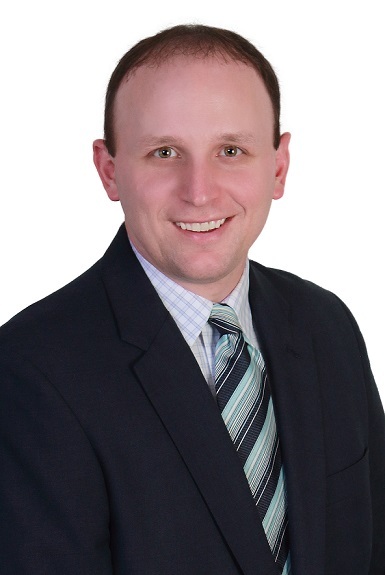 CLEARFIELD – Gregory M. Dixon, CNB Bank market executive, recently announced the promotion of Dustin A. Minarchick to assistant vice president/commercial banking. Minarchick will build upon his history of fostering customer relationships by understanding, developing and maintaining solutions for commercial customers through the right products and services in Clearfield and its surrounding areas. He is located at CNB’s main office in downtown Clearfield and at 117 E. Presqueisle St., in Philipsburg. “Dustin continues to grow and present himself as a leader within the bank, the community and the industry,” Dixon said. A native of Osceola Mills, Minarchick graduated from Philipsburg-Osceola High School in 2002 prior to receiving his Bachelor of Science degree in business finance from Clarion University of Pennsylvania in 2007. After receiving his degree, he joined CNB as a member of the Management Training Program in 2007. Upon completion of the Management Training Program, he obtained a position in the bank’s Credit Administration department as a commercial credit analyst. In this position, he developed his knowledge and experience on business lending analysis and supported lenders across the state. In 2014, he was promoted to commercial banker. Minarchick continues to expand his leadership capabilities as a member of the 2019 CNB Bank Leadership Institute. He currently resides in Morrisdale with his wife, Kylie, and their son, Nico. He is a member of Calvary United Methodist Church in West Decatur. Minarchick also serves as treasurer of the Central Intermediate Unit No. 10, the vice president of the Moshannon Valley Economic Development Partnership (MVEDP) and is a Cen-Clear board member. In addition, he participates in Relay for Life of Philipsburg, is a member of the Philipsburg Kiwanis International and is a Philipsburg Heritage Days board member. In 2016, Minarchick was named Inaugural Purposeful Banker “Up and Comer” by Precision Lender.